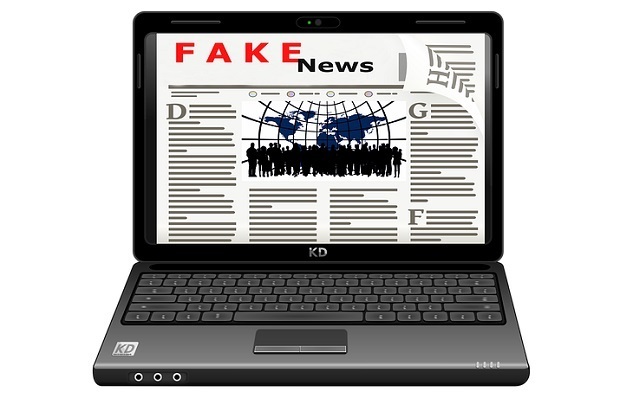 Entries from Digital Intelligence tagged with "digital britain"
Reports of ‘fake news’ have impacted consumer confidence, with the public growing increasingly sceptical of whether news is factually correct, according to new research. BBC Ceefax, the world's first teletext service, has shut down as part of the UK analogue signal termination today. Ceefax was launched on 23 September 1974 to give BBC viewers the chance to check the latest news headlines, sports scores, weather forecast or TV listings - in a pre-internet era where the only alternative was to read a newspaper or wait for the next TV or radio bulletin to be aired. Broadband speed drops by 69% in some parts of the UK during the evening internet 'rush-hour', according to a new study. The research, from uSwitch, analysed data from two million broadband speed tests and revealed a huge variation in surfing speeds during peak and off-peak times. Internet users face the slowest surfing time between 7pm and 9pm, when the average download speed drops by 35 per cent to 6.2Mb/s. In a boost for the UK's digital media industry, Google has opened a second London Office in the city's nascent technology quarter. The Web giant has rented a seven storey building at 4-5 Bonhill Street just south of Old Street tube station, known as 'Silicon Roundabout; for its booming technolgy scene. The area is said to be the UK's answer to Google's spiritual home in Silicon Valley, California. In a blow for high-speed mobile web access, the UK Government has announced that its much-anticipated 4G spectrum auction will not be held until the second quarter of 2012 at the earliest. 4G offers high-speed broadband to mobile devices. A recent trial in South Newquay using LTE (a type of 4G mobile network) is capable of achieving download speeds of 100Mbps for mobile connections and faster speeds for fixed connections. Ofcom has given the green light for internet providers to use unused TV spectrum to deliver broadband to rural areas. The move will see user’s ISP’s searching for unused areas of the airwaves or gaps called "white spaces" that exist in frequency bands that have been reserved for TV broadcasts. These white spaces are used to transmit and receive wireless signals. 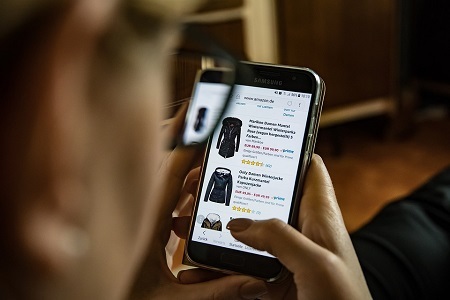 The under 35 age groups find internet advertising more acceptable than Email marketing but the opposite is true for the over 35s, according to the The British Population Survey. The report titled ‘The Internet – Engagement and Use in Britain – December 2010’ uses over 250,000 individual face to face interviews to assess both who has internet access and who does not and how this has changed over the past 3 years. The report also covers how people access the internet, what they use it for, who shops on line and how people react to internet advertising and email marketing. Nearly all Children over 11 have their own mobiles, while they spend 50 minutes online a day, according to a new poll looking into Children's screen habits. A survey of 2,445 children aged five to 16 by Child Wise found almost two in three have their own computer (62%), and nearly half have internet access in their own room (46%). The survey also found UK children watch an average of more than two and a half hours of television a day and spend an hour and 50 minutes online a day. The poll suggests two thirds (65%) of children go online most days and collectively children in the UK spent 13 million hours on websites every day. Martha Lane Fox, founder of Lastminute and the Government's ‘digital champion’ has announced a scheme for making recycled computers available to the public for less than £100. Lane Fox said the E-cycle scheme will provide PCs with flat screen monitors for as little as £98 through UK online centres, and could provide a significant element to the Race Online 2012 campaign to get more disadvantaged people online. The refurbishments will be carried out by Remploy, which specialises in employment services for disabled people, with connectivity to the internet provided by Three mobile. The packages also include a mouse, keyboard, operating system, office software, warranty and telephone support from Positive IT Solutions. The Prime Minister has pledged to spend £650 million, over the next four years, on managing the risks associated with cyberspace. In his speech to the Commons earlier this week, David Cameron said the government is developing a National Cyber Security Programme aimed at overhauling the UK’s approach to cybercrime. Under the cyber security initiative an agency, or a single point of contact, will be created where the public and businesses can report cyber crime. In addition, a major training programme will be set up to ensure that those tasked with tackling cybercrime have the necessary skills and knowledge to identify, understand and tackle it successfully. The UK Government has outlined its plans to enforce its new Digital Economy Act, aimed at cracking down on online piracy. Under the new scheme, copyright holders will pay 75 per cent of the costs associated with tackling online copyright infringement, while internet service providers will shoulder the remaining burden. Comsumer groups have warned such a move could push up the price of broadband. Commenting on the move, the minister for communications said the costs Ed Vaizey, The costs of policing the Digital Economy Act are "proportionate, despite protests from internet service providers who argue the ruling will push up the price of home broadband connections. Providing universal access to broadband speeds of a minimum of 2Mbps will take until 2015, three years longer than Labour had predicted, the government said last week. Cabinet Office minister Jeremy Hunt said the previous government had not provided enough money to cover the true cost. He said the government wanted to minimise the amount of public money invested in the network and to leverage it with private investment. The new coalition government has put two Conservative ministers in charge of its digital policies. Jeremy Hunt is in charge of the UK's broadband and Ed Vaizey is overseeing the implementation of the Digital Economy Act. Hunt, the Conservative secretary of state for culture, Olympics, media and sport, will oversee the rollout of high-speed broadband across the UK, the government said on Wednesday night. Parliamentary under-secretary of state Ed Vaizey will work across two departments — the Department for Culture, Media and Sport (DCMS) and the Department for Business, Innovation and Skills (BIS). Vaizey will be responsible for implementing the copyright crackdown that is enabled by the Digital Economy Act, which is the policy descendent of the Digital Britain report. It remains to be seen if Liberal Democrats' opposition to elements of the act, such as its website-blocking provisions, will influence official government policy. If elected, The Conservatives are promising to deliver super-fast 100mb broadband by 2017, challenging both BT and BBC in the process. The party said it is confident that the UK Kingdom can become the first major European country to have internet speeds of up to 100 megabits per second by 2017. The Conservatives have said they intend to break up what they described as British Telecom’s monopoly on providing internet connections, if they win this year’s General Election. Private investors from companies such as Carphone Warehouse and Sky would be given permission to use BT cables to provide the service. And if the market did not deliver, then a Tory government would extend the 3.5 per cent levy on the BBC license fee, currently being used for digital switchover, to pay for broadband expansion. Universal UK access to broadband speeds of 2Mbps by 2012. Setting up a fund to invest in next generation broadband using a 50p monthly levy on all fixed telephone lines. A three-year plan to raise digital participation. Legal and regulatory changes to fight digital piracy with an increased role given to Ofcom. A change in Channel 4's remit, with a new role as the 'open new media authority' (instead of 'the open broadcasting authority'). Liberalising the mobile spectrum, extending 3G licenses and improving 3G coverage. Holding a consultation to examine funding for local, national and regional news (including the proposal to redirect £130m from the BBC licence fee to pay for ITV regional news). Setting the digital radio switchover date for 2015. Supporting public service content partnerships.